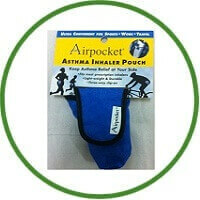 Airpocket is the solution to your asthma problems. Being attractive, discreet and durable, Airpocket makes carrying your inhaler easy and hassle free. It is the three ways clip on that makes it easier for you to carry wherever you are and enjoy whatever lifestyle you want to.